Volkswagen aims to increase cooperation from MAN and Scania with new holdings group. 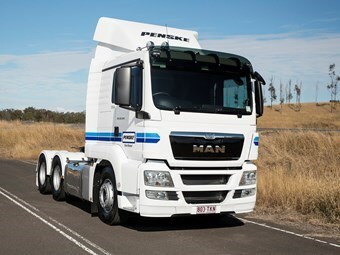 MAN and Scania to fall under Truck & Bus GmbH. The MAN and Scania commercial vehicle brands, encompassing mid-sized and heavy trucks and buses, have been placed under one umbrella after a meeting of the supervisory board of Volkswagen AG. Truck & Bus GmbH will become the new group holding for the two brands, led by Andreas Renschler, a member of the board of management of Volkswagen Aktiengesellschaft. "Our goal is to take the commercial vehicles holding to the top of our industry in terms of profitability, technologies and, above all, customer satisfaction," Renschler says. "Bringing together our commercial vehicle brands under one roof means we can focus more strongly on the needs of the truck and bus business and can therefore accelerate the decision-making process." The company says Truck & Bus GmbH "will steer and coordinate cooperation" between Scania AB, MAN Truck & Bus AG and MAN Latin America to facilitate "closer networking among the brands, shorter decision-making paths and swifter implementation." Closer networking will mean the three brands will share strategy and development information, human resources and purchases. Volkswagen Commercial Vehicles, which produces the company’s vans, will continue its association with the Volkswagen Passenger Cars brand but report to Renschler. Volkswagen Group took majority share of MAN in 2011, increasing its shares in the company gradually from a 15 per cent stake in 2006. The controlling share of Scania AB was acquired in 2008.